Mr. O’Connor was born in Torrance, California, and has been a lifetime resident of the South Bay. He earned his Juris Doctor degree from the University of West Los Angeles in 1991, and began practicing in Redondo Beach that year. Mr. O’Connor is a third generation attorney in Los Angeles County, following in the footsteps of his father, Timothy M. O’Connor and grandfather, August J. O’Connor. The O'Connor's have been providing legal services in Los Angeles County since 1928." Mr. O’Connor has served as a Judge Pro Tem and Mediator for the Los Angeles County Superior Courts since 1995. Find out more about Colin at Google+. Mr. O’Connor is a recipient of the prestigious Martindale Hubbell AV Preeminent rating, which is the highest possible rating in both legal ability and ethical standards. 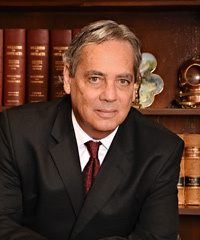 Colin O'Connor and his family have generations of experience helping clients in Redondo Beach & Torrance in all areas of family law including California divorce, child custody, spousal support and paternity cases. Come visit one of the most trusted family attorneys in the South Bay or call us at 310-378-1242.